Healthcare revenue cycle management (RCM), which encompasses activities from pre-registration of a patient all the way through to the final step of payment collection, has always been a complex process. And now, as healthcare delivery and payor requirements continue to evolve, new challenges arise for healthcare RCM managers. This shift towards value-based payment methods is driving healthcare organizations to look for robust RCM solutions that bend the cost curve as well as boost the bottom line. Against this backdrop, Cerner [NASDAQ:CERN], a major player in the RCM landscape, provides integrated RCM solutions designed to help healthcare organizations achieve a clinically driven revenue cycle. 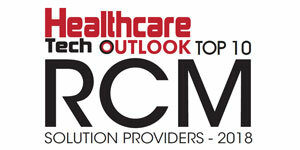 “Our Clinically Driven Revenue Cycle portfolio includes solutions and services designed to bring clinical, financial, and operational data together to optimize performance, guide decision-making, and reduce costs across acute and ambulatory care,” says James English, vice president and general manager of Cerner RevWorksSM. Cerner RevWorks— the services arm of Cerner’s revenue cycle business—provides RCM services to help address the challenges of managing revenue cycle operations. “Cerner RevWorks offers both short-and long-term services, including targeted project work, transition services, business office management, and full RCM outsourcing,” says English. Cerner’s comprehensive RCM solutions and services support a growing client base across the U.S. and global markets, including over 300 clients across acute and ambulatory venues. English shared one example of how Carroll County Memorial Hospital partnered with Cerner RevWorks to enhance their workflow efficiencies, meet organizational metrics, and control costs. “Our RevWorks team worked closely with Carroll County as it added new facilities with expanded services and additional care providers. Together, we helped them increase gross revenue by 132 percent1, cash collections by 165 percent1, and decrease their A/R days by 42 percent1.” He also pointed to several more of Cerner’s client achievement stories published on the company’s website. With over four decades of industry experience, a growing community of clients and compelling vision for the future, Cerner maintains a strong position in the RCM landscape. It also has a robust roadmap for future revenue cycle development. English explains the company’s future plans to leverage the intelligence of its RCM platform to further automate workflows, reduce manual tasks, and lower costs. “We are also working toward an improved consumer experience through guided scheduling and bill pay flexibility, preventing denials through financial clearance improvements, and increasing user efficiency with optimized workflows,” he concludes. 1 Measuring from 2012 (pre-implementation) to 2017.